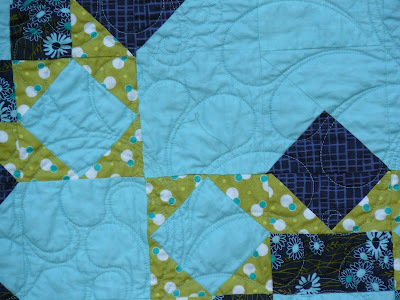 Heide's Quilty Hugs: Mystery quilt. Hello my quilty friends! Today I am showcasing my Meadow Mist Mystery quilt (2016-2017). This was such a fun project. 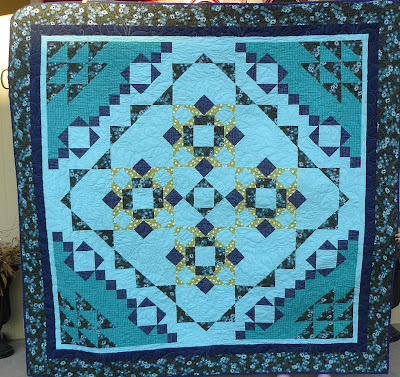 My first mystery quilt and it will not be my last. I will definitely join up for any of Cheryl's mystery quilts. For those that do not know Cheryl's patterns be sure to check out her pattern shop and blog. Today she started the Parade of Mystery quilts.....90 amazing quilts today and more to follow for the next few days. My quilt will be in the parade, I am just not sure what day. 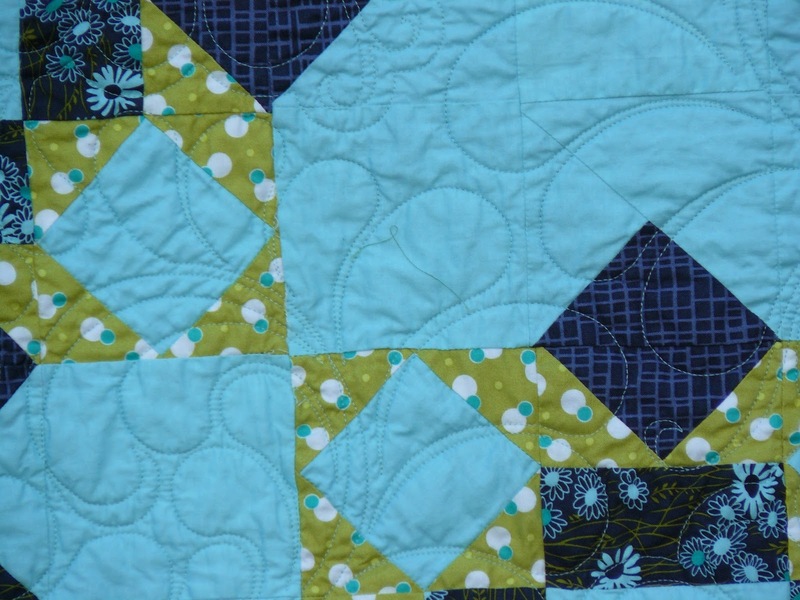 Here is a close up of the quilting that my friend Diane from Creative Stitches services did. We choice a feather pattern and she stretched it so it was not as small and tightened the feathers so they we snugged right next to each other....I LOVE it! 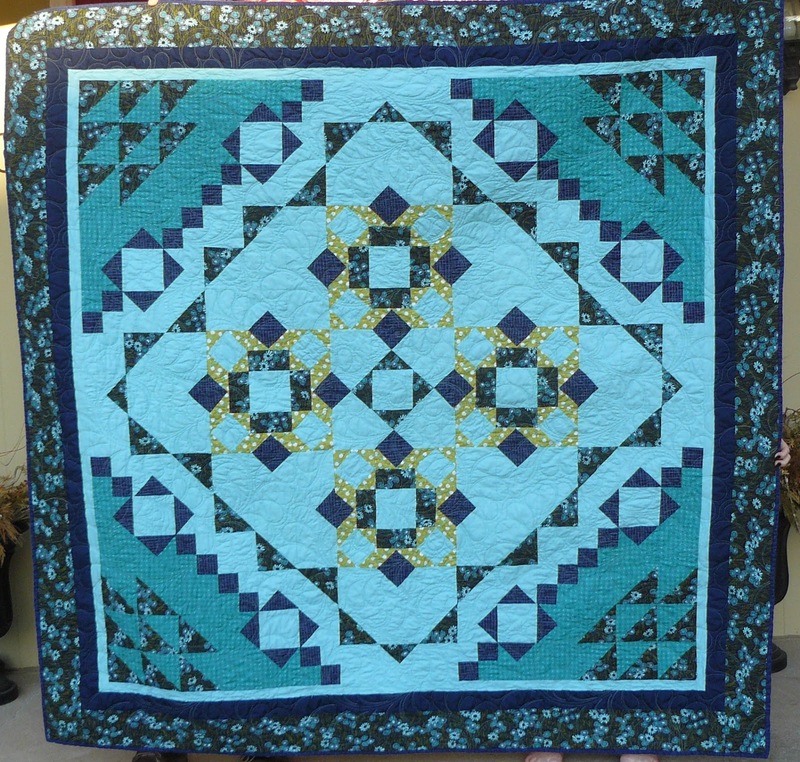 You can find Diane here in MI and I linked up her quilting site (On FB). 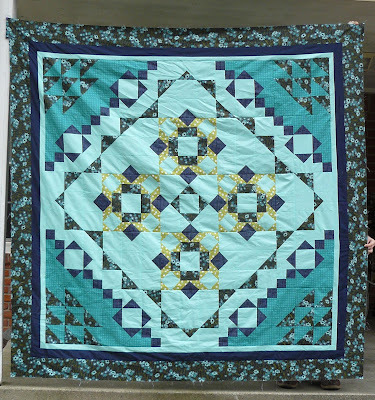 She is such a Talented, fast and fabulous quilter, I drop the quilt off in the morning and by the time I get home from work there is a message from her that it is done, I find that Amazing!! This is a nice big sized quilt, It fits a double sized bed with a nice amount of over hang. I even had a to have two of my helpers hold this up for me for the photo ( Thanks Mia and Ken). The fabrics are from V and Co.- Simply Colorful II. One last look before I go. Oh Heide!!! This is such a gorgeous finish! I love the fabrics you chose. 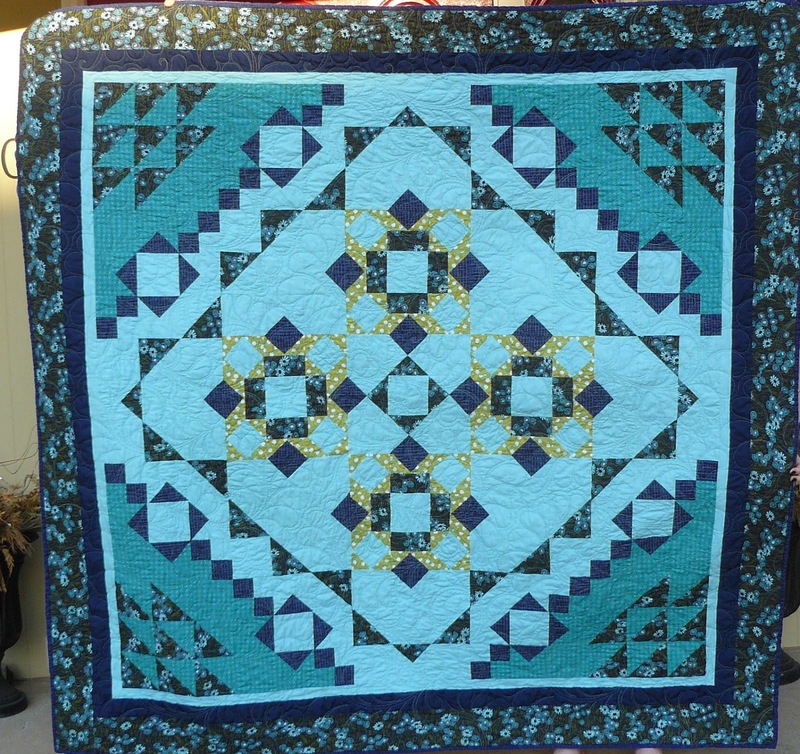 And the quilting is so beautiful! This is a quilt to be treasured for certain! It's gorgeous! From a distance, the yellow/gold accent fabric almost look like a metallic. It shimmers and sparkles! I love this version! It's been so fun to see all the different variations of this pattern! I've never done a mystery quilt but this is encouraging me to give one a try. It's lovely. I like the main block and your choice of yellow in there really makes it sing. Well done! I love the colors you used for the quilt, such great blues. 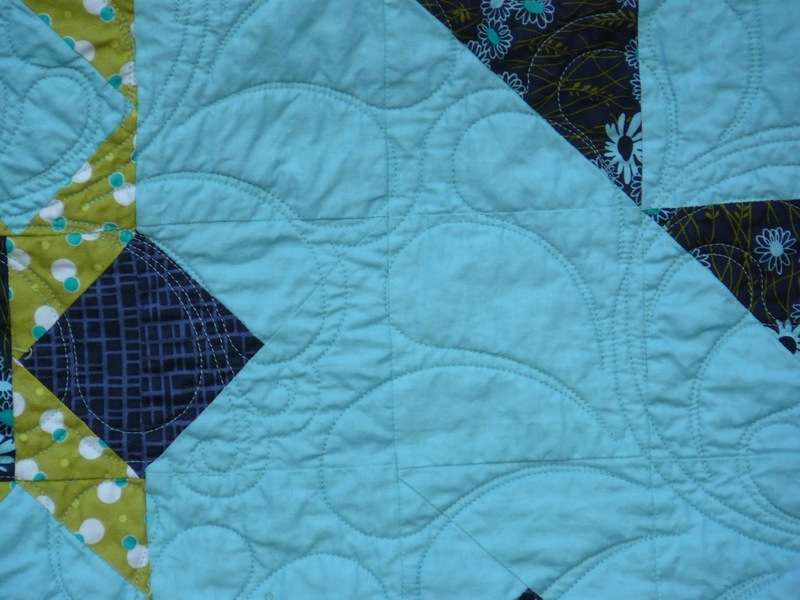 The quilting is such a great compliment to the design too.